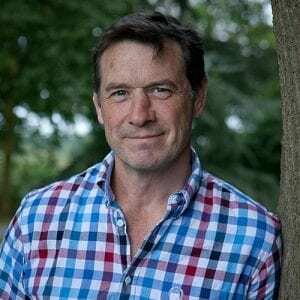 Based in Hampshire and advising across the southern counties of England, Nick Wall urges growers to seek out opportunities to increase revenue and efficiency ahead of Brexit. He is already seeing clients forging closer partnerships with neighbouring businesses, while others are investing in machin- ery to cover a likely increased demand for contracting from smaller farms or converting buildings for commercial use.Smarter marketing of grain will also be crucial, says Mr Wall, with tighter links with local premium markets and ensuring every tonne has a home will reduce risk for the producer. “There’s an opportunity to supply local livestock producers with protein and feed, too. Some are looking at soya and lucerne, as they are less risky in the southern climate,” he adds. 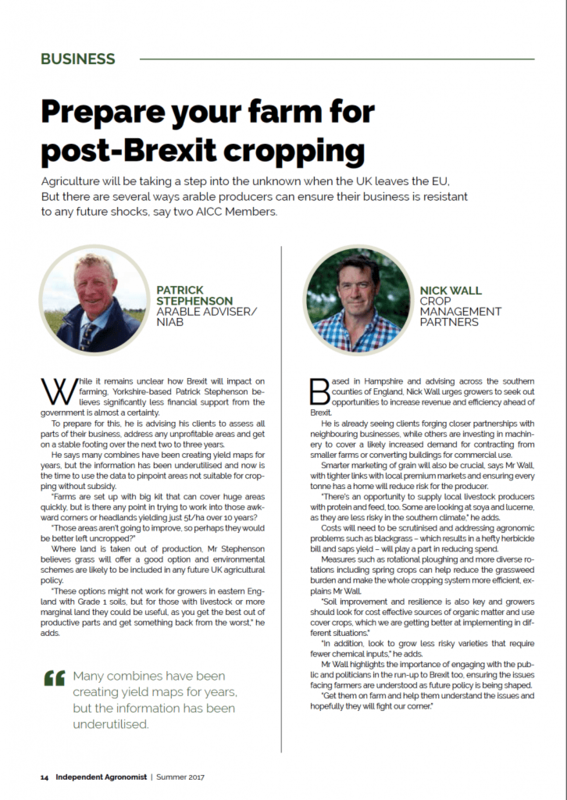 Costs will need to be scrutinised and addressing agronomic problems such as blackgrass – which results in a hefty herbicide bill and saps yield – will play a part in reducing spend. Measures such as rotational ploughing and more diverse rotations including spring crops can help reduce the grassweed burden and make the whole cropping system more e cient, explains Mr Wall. “In addition, look to grow less risky varieties that require fewer chemical inputs,” he adds. Mr Wall highlights the importance of engaging with the public and politicians in the run-up to Brexit too, ensuring the issues facing farmers are understood as future policy is being shaped.